“If it bleeds, it leads” is a mantra that can describe the types of stories covered by media outlets. Murders, fires, and robberies, are generally top stories for some local news outlets. But not the unfathomable crime of filicide - particularly, in the disability community. Filicide refers to the murder of one’s own child or relative. 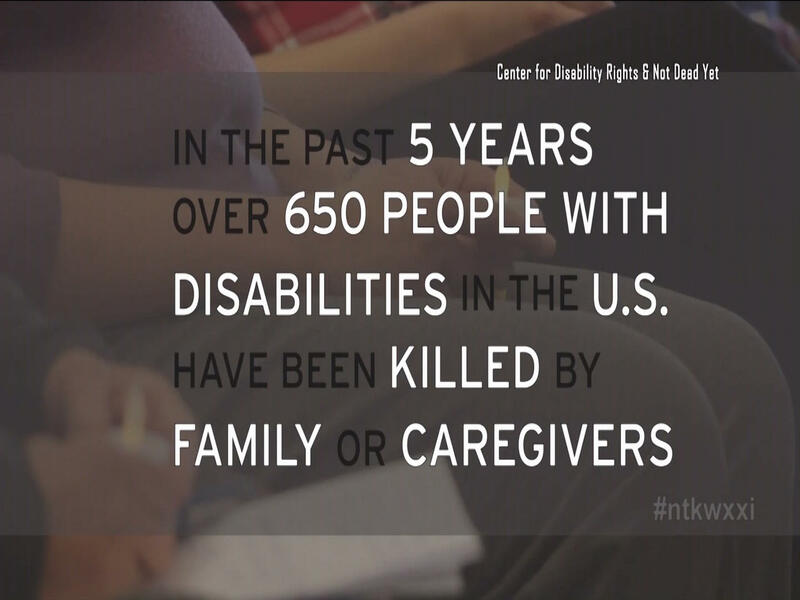 In the past five years, it’s been documented that more than 650 people with disabilities in the US have been murdered by a family member, relative, or caregiver. The actual number of victims is believed to be much larger than that. We examine this issue and how local advocates are seeking justice for disabled victims of filicide.